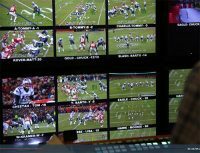 What’s the Best Video Editing System? There’s a new way to make money from a series of videos or blogs. This new business model for selling video content is a lot more profitable than YouTube. Consider a music video created by Molly Lewis. It’s a bit silly, but on YouTube the video got 14,000 views. Unfortunately YouTube only paid her $28. On Patreon she earned $2000 from the same video. You can watch it for free on YouTube, but some viewers want to encourage her to do more so they make a donation through Patreon. 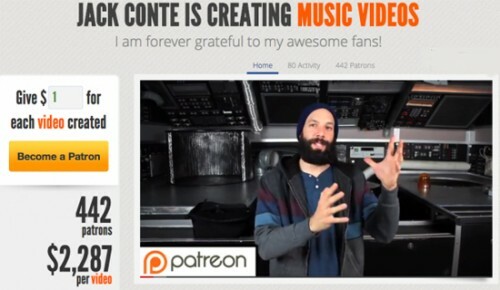 Jack Conte is the cofounder and CEO of Patreon. He’s also a musician and has a band with his girlfriend called Pomplamoose. Their videos on YouTube have more than 92 million views, but their popular videos do not make much money. So Conte with a partner – Sam Yam who is an engineer and design wizard – launched a different kind of crowd-funding business they called Patreon. Fans give money directly to their favorite creators. You might think people are by now tired of being asked for money to support an artistic project, but in less than a year, Patreon is now distributing over $1 million a month to artists who join their platform. The fans or patrons are only charged when the creators post. This removes time pressures which can be difficult for creative people who may have several projects going at the same time. Patreon charges 8% of every exchange, which includes merchant services. It’s different from Kickstarter where you send some money and get, for instance, a copy of the documentary film when it becomes available. That’s fine for larger projects, but Patreon is more for bloggers, YouTubers, animators, and anyone who creates on a regular basis. If you’re a fan of a particular artist, you can donate to them like giving them a tip every time they post new content. You set a budget so there are no surprises.You can pledge a dollar or more a month. Payments can be canceled at any time. Like Kickstarter there can be a sliding scale whereby if you pay more you can, for instance, get early access to the new creation, Livestream Q & A with the creator, your name in the credits and so on. There’s no option for one-time tip/donation to a creator, but you could sign up to make a donation and then quit after receiving the first video or artwork. or you're just starting out, you've come to the right place. Forbes Magazine calls VideoUniversity one of the best business-to-business sites for digital video production. © 1997 - 2019 Oak Tree Press. All rights reserved.